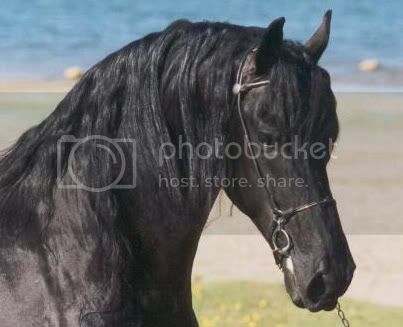 We bought Alfons after opening Enchanted Hills in hopes of expanding our friesian line. Instead of breeding to outside stallions all the time we figured that we'd purchase an excellent specimin for ourselves. We came across Alfons at a horse sale. There weren't many horses, most of them just skinny bags of bones, even more of them older. Alfons was one of the few with prospects left in his life. We bought him and began experimenting. 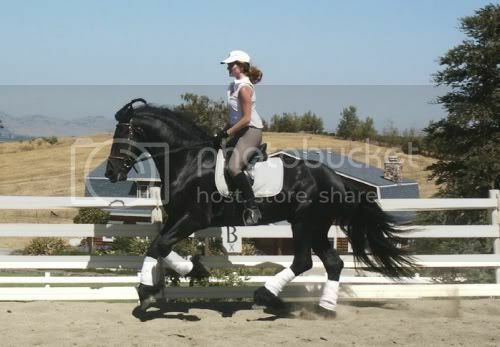 It became obvious to us that he had had a great deal of training but an experienced rider and had what it took to compete in FOURTH level dressage. 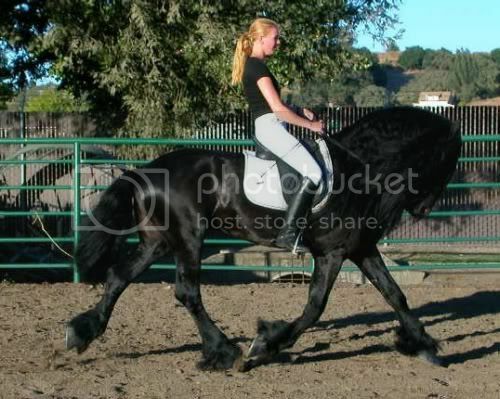 His gait was one that you would die for. It was, though lively, remarkably easy to sit. His conformation is supurb, a trait we hope to pass onto his sure to be numerous offspring. All in all Alfons is a wonderful boy with lots of promise on the horizon at The Hills.